Dave Hahn has always stood out to me the consummate mountain guide. While some will certainly argue this point, I have witnessed Dave in action a few times. Once in the Khumbu Icefall, Dave was guiding a huge client. When I say huge, I mean 6′ 3″ 250+lbs – not fat just large, huge. The client was struggling with a big move in the Icefall and Dave was gently providing guidance in footwork. He could have easily taken on the impatient guide persona but Dave showed his patience. The climber made it. On another expedition, I was sitting in our tent at the South Col focusing on the howling wind. Our Guide was telling us to get ready to go for the summit. I clearly remember looking at my tent mates with a cocked eye. Dave’s voice came over the radio to our Guide, “We are going back to camp 2 – no summit for us tonight.” Our team was tuned around at the South Summit hours later. Dave has earned his dues and a recognition he loves to despise – the most Everest summits by a “non-Sherpa”. More on this later. Dave is a regular guide for Rainier Mountaineering Inc. and International Mountain Guides amongst other companies. Last year he guided for First Ascent/Eddie Bauer on Everest. 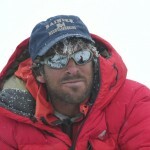 His summits are impressive: 250+ on Rainier, 26 on Vinson, 19 out of 26 climbs of Denali. Also he loves to guide the Shackleton Crossing on South Georgia Island. He is certainly an accomplished climber but also a worthy writer providing some of the best written dispatches from any climb. Last year he blogged for First Ascent and has for Great Outdoors for several years. I asked Dave to share some thoughts on Everest and his upcoming RMI expedition. I was lucky to catch him at home in Taos where he is a professional ski patroller at Taos Ski Valley since 1985. Q: Dave, After your first Everest summit, did you envision doing it for an American and non-Sherpa record 11 times? I did know pretty clearly after my first Everest summit that I wasn’t finished with the mountain. But back in 1994 I didn’t dream I’d ever make it up and down 11 times. Such numbers seemed astronomical and unobtainable to me then… and I’m proud of the accomplishment now. But it is not a “record”. Apa Sherpa with 19 Everest summits, holds the record. 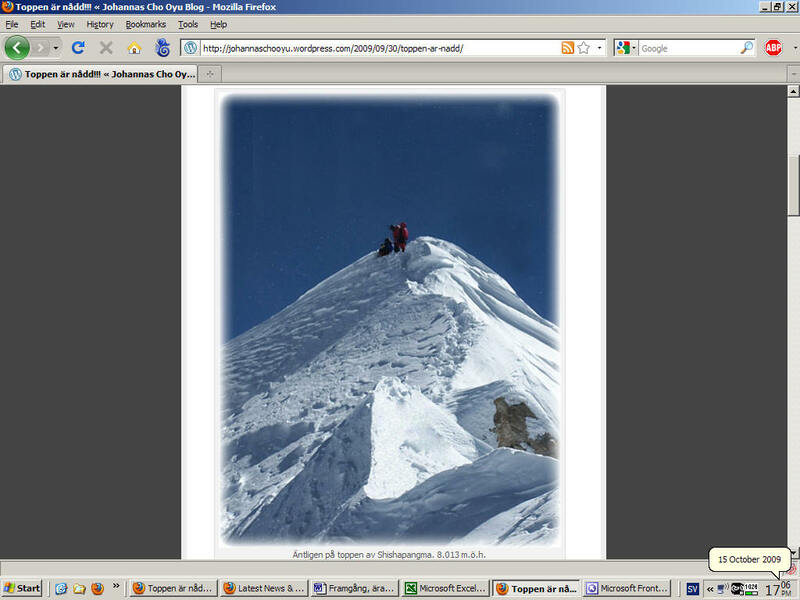 Defining some “non-sherpa” record encourages an assumption that climbing the mountain is somehow easier for Sherpas. I don’t think it is. For my part, the numbers themselves -and “beating” others to them, were never my goal. None-the-less I’m happy with the recognition the numbers have earned me. “Eleven Summits” can be a fine attention grabber and it sometimes permits me to then drone on about Everest history so that people can put such numbers in proper perspective. Q: We often hear about how climate change impacts mountains and the trash on Everest. You have a keen eye for detail, tell us a bit about how the environment around Everest has changed over the years in terms if glaciers, villages, trash, etc. It is obvious and alarming to see the thinning, or “down-wasting” of glaciers on both the northern and southern approaches to Everest. That said, I don’t believe that the climbing has substantially changed yet due to climate change. Logically, the higher and colder portions of the mountain will be the last places to be tangibly altered. Changes in weather patterns since 1991(my first year on Everest) are less obvious to me. It has always been pretty difficult to say just what “normal” is in such a dynamic place. My own perceptions are further muddled since most of my early career in the Himalaya was on the Tibetan side of the mountains, where patterns are substantially different to what hits in Nepal. Villages on the Nepal approaches to the mountain have definitely grown, but not to the point of “sprawl”. The journey up the Khumbu Valley is still one of the best walks in the world. Coming in through China and Tibet, it is hard not to be astounded at the pace of change… but that change still pretty much ends just beyond basecamp. Most would agree that the mountain is cleaner now than it was in the early 1990’s but that doesn’t mean that there aren’t still trouble spots and pressing problems to be dealt with. Q: You are guiding for RMI this season. Will you acclimatize via the standard rotations through the Icefall to the high camps or do an alternate scheme thus avoiding the Icefall? We will use standard rotations through the icefall. 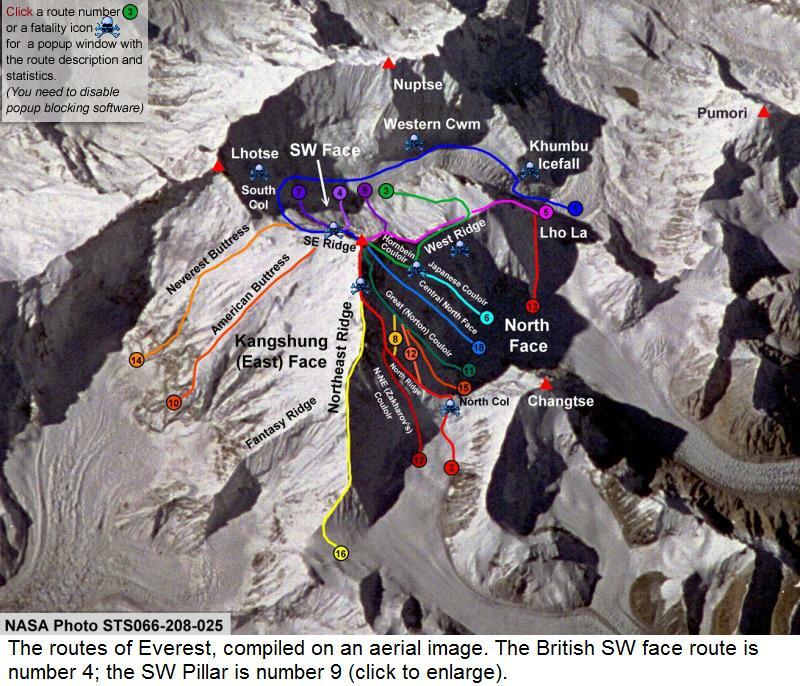 While it is plenty dangerous and demands respect, the icefall also does a good job of preparing climbers for summit bids. I see it, with all of its technical and physical challenges, as an important training ground. If a climber is incapable of getting his or her time of passage through the icefall down to a reasonable four or five hours (still more than twice what a loaded guide or Sherpa might do it in) then they probably will not be able to fit all of the challenges of a summit safely into one day. Also, I have ethical concerns with avoiding the icefall while a team’s Sherpas are required to work in it on a daily basis. The idea of hiring high altitude porters is to have them carry loads, not to have them assume risks that we ourselves avoid. Q: As a guide, what concerns you most about the profile of Everest climbers today? Just as always, I want to know that climbers have done their homework and preparation and that they are realistic about their own smart limitations. I have these same concerns on every mountain I work and play on… and I have these concerns for myself as well. Q: Obviously the Sherpas play a huge role on Everest today and sadly take the brunt of the deaths. Any thoughts on how to keep these heros safer? 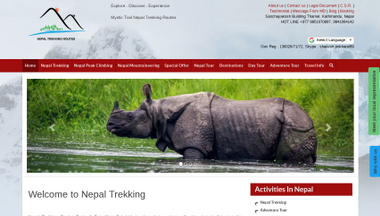 There is such a thing as getting too good a deal on an Everest trip. Teams that are saving their members a heck of a lot of money might be doing it at the expense of Sherpa safety. As much as people will continue to hunt down bargains, it must be recognized that cutting margins too tightly doesn’t permit for a good mix of experienced and less-experienced Sherpas on a team. Proper leadership costs money, communications gear costs money, access to medical help costs money, contingency planning costs money, oxygen costs money. It is important to think through as to who will ultimately pay the price for skimping on resources. Of course, no amount of money will do away completely with the dangers… but we all have seen too many cases where small tragedies became bigger tragedies because resources were wanting. Q: You climb all around the world, do you have a favorite mountain or area? I try to stay loyal to whichever mountain I happen to be standing on when asked that question. I like each of my mountains for different reasons…. some because they are remote, some because they are convenient, some because they are hard and all of them because they are beautiful. Q: How much time do you spend at home in New Mexico? What do you do in your time off? I might fit in three or four months a year at home in Taos. Most of it will be in the Fall and Winter, while patrolling at the ski area up the road from my house. I’m not actually all that good at taking vacations and playing during my time off. Time spent not guiding has become time available for writing and speaking and answering email… but I do like to dream about hanging out on beaches and going rock climbing and bike touring and hiking and river rafting. 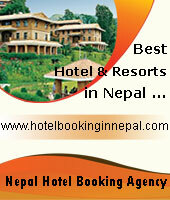 Q: Any additional thoughts for us Everest 2010 followers this year? 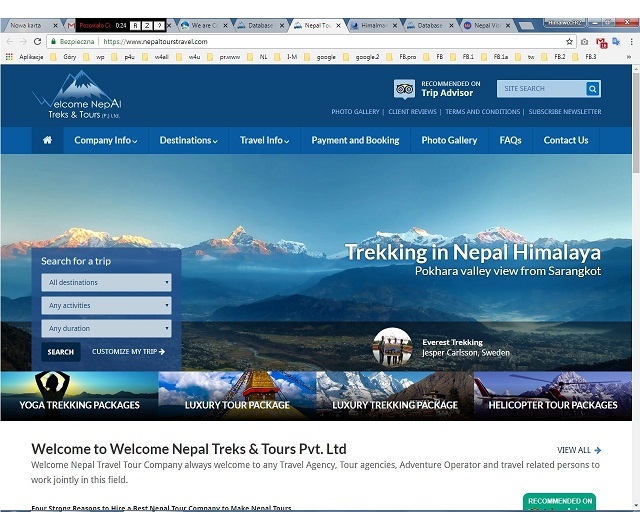 If Everest 2010 inspires you… read about Everest 1953… track down Everest 1963… consume Everest 1975 or Everest 1984… don’t quit until you are equally versed in Everest 1924 and 1999. Thanks Dave for your time and best of luck this season on Everest. 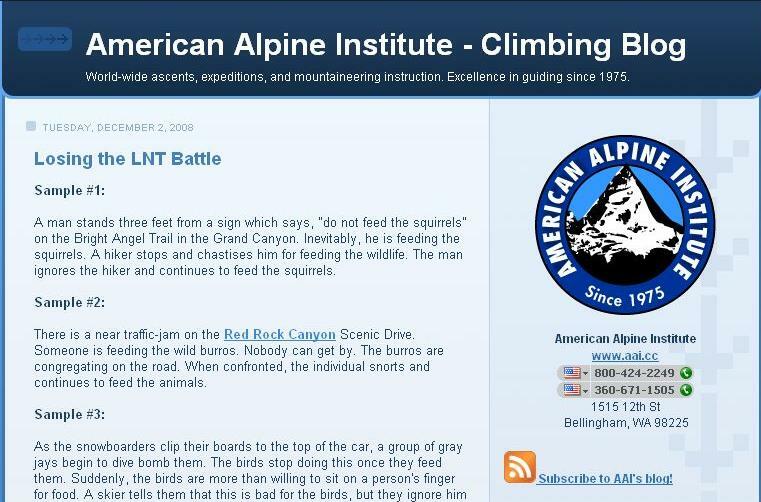 You an follow the RMI climb at their site.